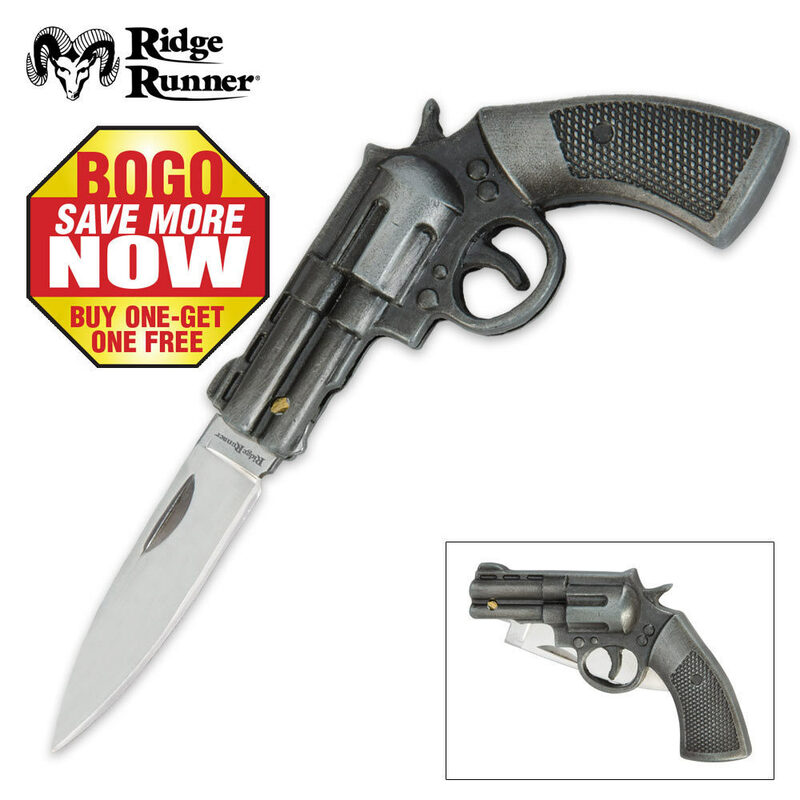 Ridge Runner® Revolver Pistol Folder 2 for 1 | BUDK.com - Knives & Swords At The Lowest Prices! 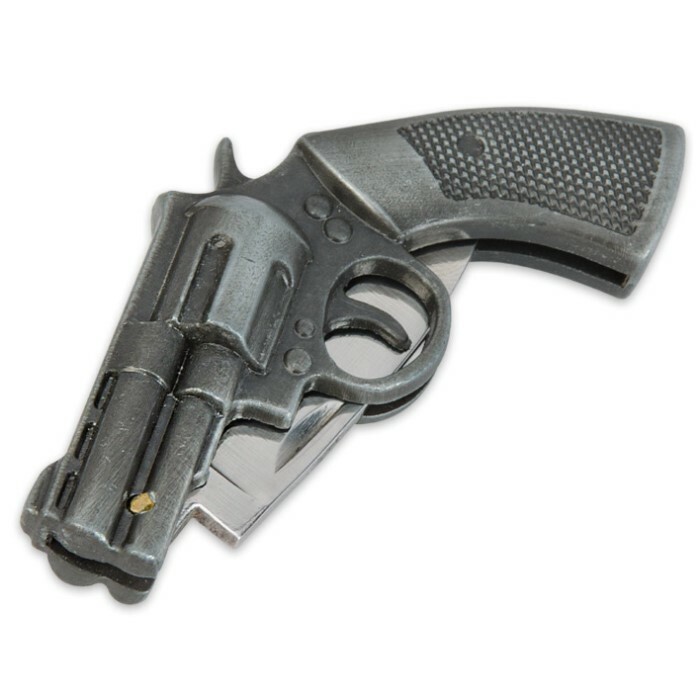 This mini-folding knife from Ridge Runner® was designed to look like a Revolver pistol. The 1 1/2" blade folds up into the highly detailed ABS handle. 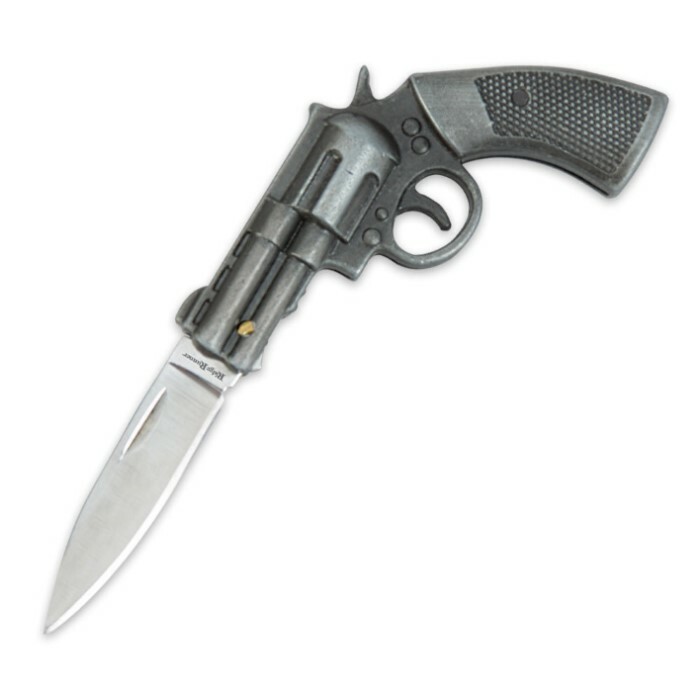 This unique pocket knife makes a great gift!